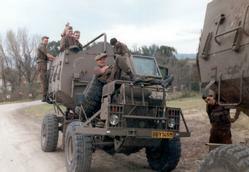 1 South African Tank Regiment was established on 1 April 1999 and the first Officer Commanding, Lt Col Charl Barnard, MMM, and the first RSM, WO 1 André Jansen van Rensburg, MMM, was appointed. On 5 December 2001 the newly appointed Officer Commanding, Lt Col M.W. Nondala, SA St C (Army), took over and made History by being the first black Officer Commanding appointed in the Armour Corps. The Regiment was composed of the old Tank Wing of the School of Armour. The Regiment is co-located in the lines of the School of Armour in the old "Plaashuis" and the Head Quarters of 1 SA Tank Regiment is situated in the original Regiment Head Quarters of the School of Armour. 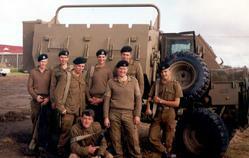 On 1 November 2002 Mr T.T. 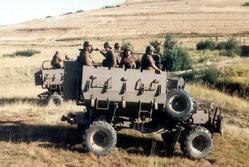 Mboweni, Governor of the SA Reserve Bank, was inaugurated as the first Honorary Colonel of 1 SA Tank Regiment. 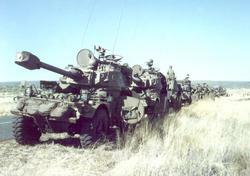 The Regiment supplies the only full time tank force to the SA Army Armour Formation and for operational situations to 43 or 46 SA Brigades. 1 SA Tank Regiment also provides course support to the School of Armour for the training of Tank Crews and Squadron Second in Command Courses as well as Squadron Commander Courses. 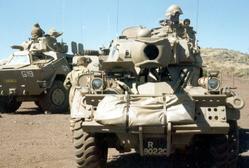 The Regiment also participated in various Conventional Force Preparation exercises at the Combat Training Centre. 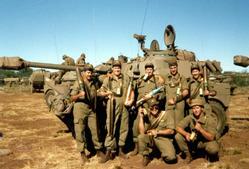 1 SA Tank Regiment must provide combat ready tank capabilities to the SA Army Armour Formation. Executive National Strategic Programme demonstration. First Tankers Golf Classic was presented. Old Mutual/Vodacom prestige cycling day. 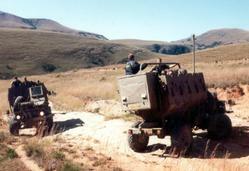 Deployment on the borders of Lesotho in 2003 and 2004. The Freedom of the City of Mangaung on 3 April 2004. With these achievements within the first five years of existence, the Regiment can only go from strength to strength and will be a force to be reckoned with both on the sports field and in the Operational theatre. 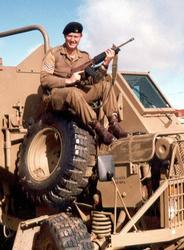 In 1 SA Tank Regiment there are some traditions such as Tankers Games, i.e. Hammer Throwing and Pistol Pot. Once a year we host a Tankers Weekend on behalf of the SAAC.